Life tends to throw up unexpected complications, in both personal lives and business relationships. In family firms, shareholders' agreements can help to mitigate the risks. 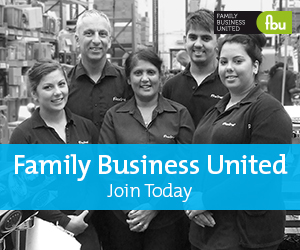 The family business is a place where problems in both personal and business relationships can conflate. Breakdown in personal relationships among family members are distressing enough for those involved, but those damaged relationships can spill over into the business. Equally distressing, however, is where disputes within the family business cause breakdowns in the personal relationships leading to irreparable family schisms. Having a Shareholders’ Agreement setting out how issues which could potentially impact on the business are to be dealt with is not only commercially sensible for the company, but can give comfort to individual shareholders. While many provisions governing the relationship among shareholders and the company can be contained in the Articles of Association, there are situations and issues which are better covered by a Shareholders’ Agreement. A particular reason for documenting provisions in such an agreement rather than the Articles is that a Shareholders’ Agreement has the benefit of confidentiality, it does not require to be filed at Companies House and, therefore, remains private. A Shareholders Agreement can accordingly deal with issues which the shareholders do not want in the public domain or are inappropriate for Articles. Among the most valuable protections a Shareholders’ Agreement can afford is that of the interests of minority shareholders not to suffer prejudice at the hands of the majority. This often takes the form of a List of Reserved Matters each of which requires unanimity or the support of a large majority of the shareholders before the step proposed can be taken. These reserved matters commonly include: a restriction on the issue of further shares to ensure members’ shareholdings are not diluted without their consent; a prohibition on the disposal of the company's assets; or borrowing money in excess of a certain amount. Such provisions are common in non-family businesses also, but there are a large number of them which are more relevant to family businesses. What should I include in a Shareholders Agreement? Should there be restrictions on permitted transfers of shares to spouses of family members such that, if the marriage ends the shares would come back into the “bloodline”? When a shareholder dies, should surviving shareholders have an option to buy the shares and should the deceased’s shareholder’s executors have the option to compel the surviving shareholders to buy the shares? If the company requires a further share issue, are all shareholders to be entitled to participate on a pro rata basis in order to avoid dilution? Should each shareholder have the right to appoint a director, or should this right be reserved to a shareholder who holds over a certain percentage of shares? Is there to be a restriction on distributions and should there be a statement of dividend policy? Should there be a mechanism to resolve Deadlock situations and what should that mechanism be? Should resolution involve a dissenting shareholder being bought out at an predetermined price or at a price to be fixed by an independent valuer? Should there be restrictive covenants to prevent a departing shareholder competing with the Company and how extensive should those restrictions be? All of these issues, and more, should be considered, discussed and agreed by shareholders so that, if the unthinkable happens, all parties are dealt with fairly on a basis agreed at a time when they were in a positive and collaborative frame of mind. A well-drafted Shareholders’ Agreement may prevent the breakdown of a business relationship impacting on personal relationships and, conversely, prevent so far as possible personal schisms from negatively affecting the business. About the Author - Jack Gardiner is a Partner in Turcan Connell’s Business Law Team. For more information about the content in this article and to find out more about their services to family businesses visit their website here. This article originally appeared in the November 2017 issue of Business Insider and has been reproduced with permission from Turcan Connell.